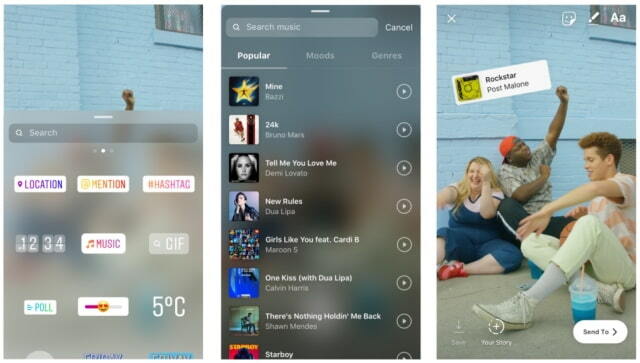 Instagram has announced that you can now add a soundtrack to your story. 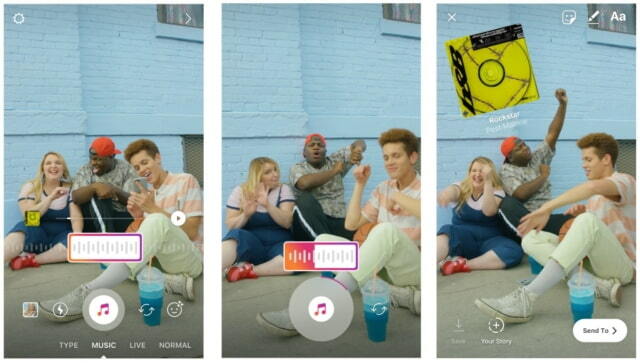 It’s also possible to choose a song before capturing video. When opening the camera, swipe to the new ‘Music’ option under the record button. From there you can search for a song, select the part you want, and record a video as the song plays in the background. When your story is being watched, the song will play and a sticker will show the song title and artist name. Instagram is adding new songs to the music library every day. The ability to choose a song before capturing video is currently iOS only. It’s coming to Android soon. ← Previous Previous post: Instagram Lite ، با گوشی قدیمیت هم میتونی به کاربران اینستاگرام ملحق شی !